I’ve noticed that people are as polarized in their visceral, bodily responses to Jordan Peterson as they are in relation to his ideology. Beyond the content and the politics, people get something from him, ranging from exhilaration to nausea. When I went to see him in person, most of the crowd leaned towards him in a palpable swoon. The guy next to me screamed “There he is! There! He! Is!” over the roar as he bounced onto the stage. 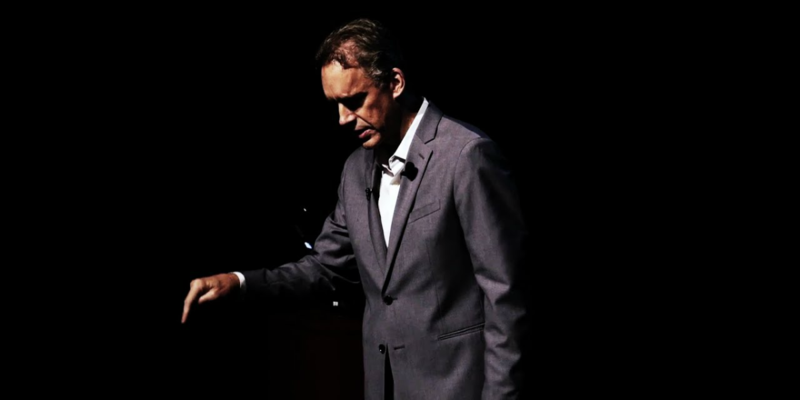 Peterson dropped into his trance-monologue, and the crowd was duly entranced. Two and a half hours wasn’t enough. He went on. And on. And on. When I went to the men’s room afterwards, I felt like I was at a hockey game. I waited out the line and then exited the building to find Peterson surrounded by two hundred millennials, 80% men, on the front steps. He held court until 11pm in the May night. The entire campus was his natural lectern, and why should he stop? Out on the steps, the somatic deference of the crowd was up close and personal. He spoke in the round. He absorbed every dewy-eyed question into his feedback loop. He made lingering and deep eye contact with every woman in the crowd. The inner ring seemed to think he was speaking to each of them individually, privately. Some are similarly mesmerized by Peterson on video. On the other hand, there are scads of people who can’t stand watching him or listening to him. They cringe through every breathless paragraph. His strangulated voice is like nails on a chalkboard. They feel claustrophobic at the long droning whine of performed intellectual brilliance. Are these guilty judgments? Isn’t this as low-brow as when Peterson’s fans make fun of “SJW” clothing and language? Should we suppress that reflex of disgust and focus on his arguments? Isn’t that the noble thing to do? Writing as someone who shares the bodily privilege of Peterson, I can’t suppress the visceral clues. I feel all the prickles of those in the latter camp. I but feel them from a “been there, done that” perspective. Here, I’ll own my part in those sensations, and use them as a springboard for speculation. This may sound close to ad hominem. Hopefully I’ll avoid that by staying rooted in my own experience as someone who has also tried to be at the centre of attention by presenting many of the same tics I see Peterson use. Guys like us are all trained in the same school, you see. I confess: I adopted the Peterson-body while reading from my poetry and novels back in the 1990s, as a classical music vocalist, while teaching yoga or meditation, and while proselytizing for the two cults that I was in. In small ways these tics still emerge interpersonally when I feel threatened or I need to convince or triumph. In and of themselves the affects are not evil, and I never had a conscious thought of wanting to manipulate people. And yet I built them into a choreography of persuasion that sharpened and expanded as it seemed to work. Now I see these affects might sometimes work because they gobble up social real estate. I look at this very carefully, and try to invent ways of disrupting it. But I still feel them creep up, especially when I’m on a tense phone call. It felt exhilarating to speak freely and without stop. It felt private, yet spotlighted at the same time, as though everyone should be forced to see the brilliance of my otherwise lonely internal life. There was a thrill in beginning a sentence the ending of which I could not see, but felt the eyes on me draw it out. If the content strayed from the ordained topic, and no one seemed to complain, so much the better. This signalled that the listeners were there for me and not the content. I could feel attention pouring into me, filling up the space where the words had flowed out. This happened without me actually connecting with the people who gave that attention. It was a perfect economy of simultaneous extroversion and introversion, without any mediation of contact or intimacy. I used repetitive motions with my hands to not only keep myself in rhythm, but to conduct a somatic rhythm into the room that would obviate the stutters that occur through true dialogue. The motions were like martial arts gestures. When someone asked a question I could sense how difficult it was for them to break into that flow. Instead of thinking about how I could make it easier for them, I waited for the bit of content upon which I could seize and re-enter my flow, feeling that that would relieve both of us. I think that before I realized I was doing these things, to embody what I thought of as the comfort of mastery, while never thinking about who that mastery might be over, I could well have been in that camp that ignores Peterson’s intellectual fraud. It feels so good to love what he does with his body, and to identify with it. Peterson has mastered the muscular ballet of inflated masculine intellectualism. He embodies the wish of otherwise liberal men who feel that speech is the only sanctioned public violence left to them. He can be pipsqueaky but imperious. He can whine on stage and still be seen as commanding. He can express pain and fragility as an emperor of confidence. He can have his lobster and eat it too. When Peterson quipped to Camille Paglia that men are disadvantaged in debate against women because social taboos prevent men from hitting women, he’s showing ignorance of more than civics. He’s showing that he doesn’t realize that his privilege plus his affect are already hitting women, trans people, or the scholars in humanities departments he wants to dox. Peterson and I learned how not to hit people. That doesn’t make us non-violent. I haven’t punched anyone since I was 12. I learned how to sublimate punches into sentences, and so did he. I believe that many of the young men who love what Peterson does with this body — “There he is! There! He! Is!” — love him because his affect validates that sublimation within their own bodies. Peterson’s body tells them it’s okay to strike out from an avoidant bubble of self-fascination. It says that you can be as wimpy and whiney as you really feel inside, and yet still dominate. His body tells them that their own endless internal monologue of grievance is noble, smart, productive, and should be monetized. I don’t know how men get out of this if it is habitual. It’s not resolved for me, but it’s gotten better. I credit more secure attachments as I’ve aged for small improvements, along with the benefit of being able to reflect on where some of my chronic skeletal, especially spinal, pain was coming from: not from posture but from posturing. 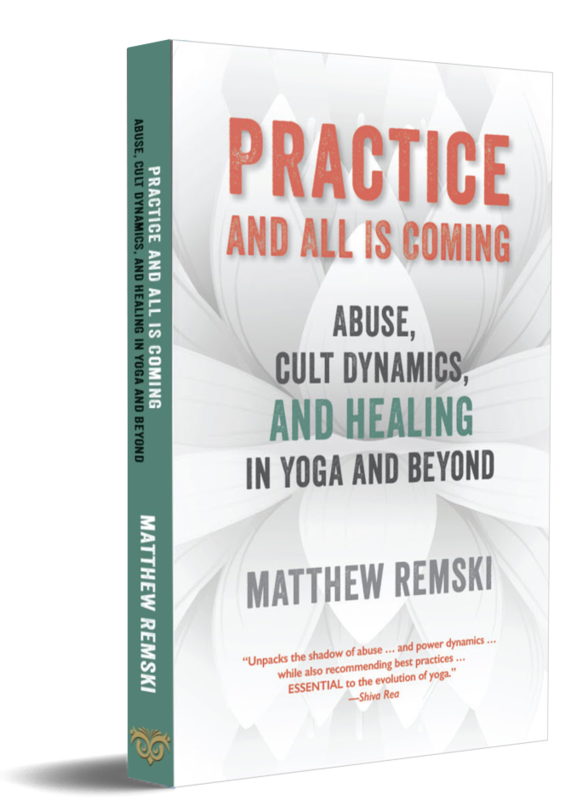 I stopped doing those forms of yoga that were about standing up straighter, which for me translated into “more defensively”. I still speak publicly for part of my living, so I’m always able to reflect on how that takes up or perhaps steals space. I try to pay attention to that scrim of hardness that drops over me when my speech begins to accelerate, when I begin to feel animated. It’s still good and creative to be excited about what I say. These days, I’m also a lot more interested in why I want to be excited, what I need in return for that passion, and whether there are other ways to sooth myself, and to give something, rather than take. I haven’t read his book 12 rules .. i’m not looking for someone with rules for my life. I did hear someone had checked it out and at first it seemed fine until they hit a rule about “don’t let your children do anything that would make you not like them” and lead off into yet another cult figure and their idea of enforcing, dominating children and not giving them special treatment. Inflicting glares and threats to keep them doing what you feel they should. This kind of thing is a common threat of abandoning cults, who guide to much judgement and take to little responsibility of care for children. So I’m still on the alert for the inevitable strange idea that gets interwoven or delivered amongst common sense or basic adult wisdom. What you say about the strained or strangled voice of that “speak on for a long time” type of cult phenom speaker is a common thing … there is something in that. It almost sounds constipated – or someone said this (of narcissists) “Their tone reiterates the abusiveness by combining petulance and pompousness.” which seems to resonate. I’m not saying he is a narcissist but there is a cult phenom and he has no issues about reeling in as much money as possible and not apologizing for it. I so appreciate getting to view where your personal investigation of these issues takes you, Matthew, and once again you have opened my eyes to something important. I was not conscious of my own experience of speaking to large groups of people regularly and its effect. It came to me after reading your piece that I had been reducing the power imbalance between me and the people in “my” classes according to many of the points you make here. The problem has been that because it was done unconsciously I was troubled by the changes. To put it succinctly, I felt like someone who had dropped his hands half way into a fight and expected that the opponent would stop fighting too. Instead (especially) female students have taken the opportunity to get some good blows in. Now I can see I probably had it coming and that given how I feel now about the power dynamics of talking to large groups at all, the real answer may be to never be a man who puts himself in a position of supposed authority.